Neptune Machinery was founded in 2010, It is the leading manufacturers and suppliers of bottling machines for the pure water, mineral/spring water, carbonated drink, juice beverage in South of China. 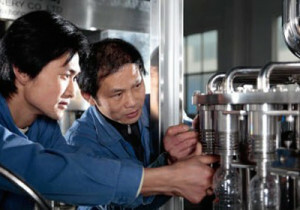 We have been dedicated to make it easy for customer to open one water bottling factory. We provide over 70 types of products, including water purification machine, bottle washing filling capping machine, blow molding machine, bottle labeling & packing machine and more.Moreover, Neptune Machinery has found markets in over 60 countries Eritrea, Tanzania, Seychelles Libya, Morocco, Guinea, Liberia, Ghana, Niger, Nigeria, Cameroon, Equatorial Guinea, Gabon, Congo, Democratic Republic of Congo, Zambia, Angola Botswana, South Africa, Mauritius, Iraq, Qatar, India, Sri Lanka, Burma,Russia, Malaysia, Philippines, Azerbaijan,Suriname, Peru, United States. Our vision: Make it easy to start bottled water business. 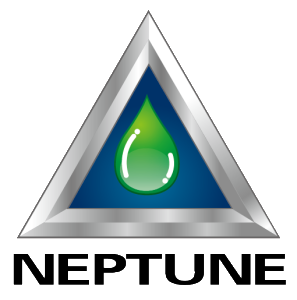 Neptune Machinery believes that only our customers achieve sustainably economic success and then we can develop and grow together. Our corporate philosophy and decision-making strictly follow this principle. We listen carefully to our customers and study their ideas, and then offer high quality, customized and feasible products. Of course, it is far from enough. We regard every customer as our partners, and provide service, support and advice for factory planning, installation, training, operation and product marketing from an integrated perspective, no matter if they buy individual components or complete production lines. All the machines and equipments we sold have gone through goverment inspection before shipment, and come with regular spare parts and tools, and plus our excellent after-sales service, which in the long run, can avoid many expensive downtimes for our customers. Neptune has successfully created a niche for itself in the bottled water machines industry. We provide complete water-bottling production lines for large bottles (3-5 gallon), small bottles (8 ozto 1 liter), distillers, water purification systems, small bottle blow molders, and packaging equipment. Shenzhen Neptune Machinery Co.,Ltd has received ISO9001:2008 and CE certification. 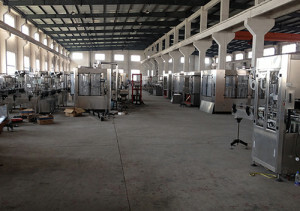 We are mainly engaged in the production of a full line of water treatment equipment, water bottling equipment, water filling equipment, wrap shrink packaging machine, and more. Neptune technicians and engineers are proficient in design, electrical apparatuses, automated machinery, microcomputers, etc., and we have a team of 52 experienced technicians for installation and maintenance, which helps ensure the high quality of our machinery and top-ranking service as well.